With a history dating back to 1901, the Jewish Federation of Greater Philadelphia has a rich heritage of philanthropy and community support. They provide crucial financial, food, and educational support to people in need in Philadelphia and around the world. An obstacle faced by the Federation when communicating with the public was that many people, even supporters and beneficiaries, did not fully understand the organization’s purpose and the valuable services it provides. Additionally, JFGP needed a way to engage younger generations of the Jewish community who may not identify as closely to their cultural identity as previous generations did. 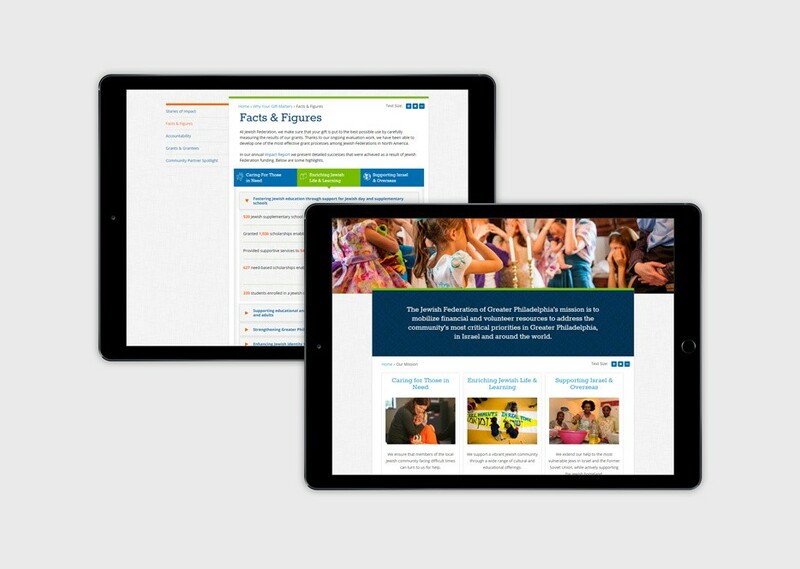 And since the Jewish Federation survives by the generosity of its donors, it needed a way to show the amazing work it did every day, communicate its financial needs, and provide a way for users to support its mission with an intuitive online donation process. Through a series of interviews, surveys, and exercises with staff members and community members, we developed a comprehensive picture of the organization’s activities, goals, and impact. Then, we formulated a content strategy to expose many of these deeply nested divisions to the public in a more intuitive way. 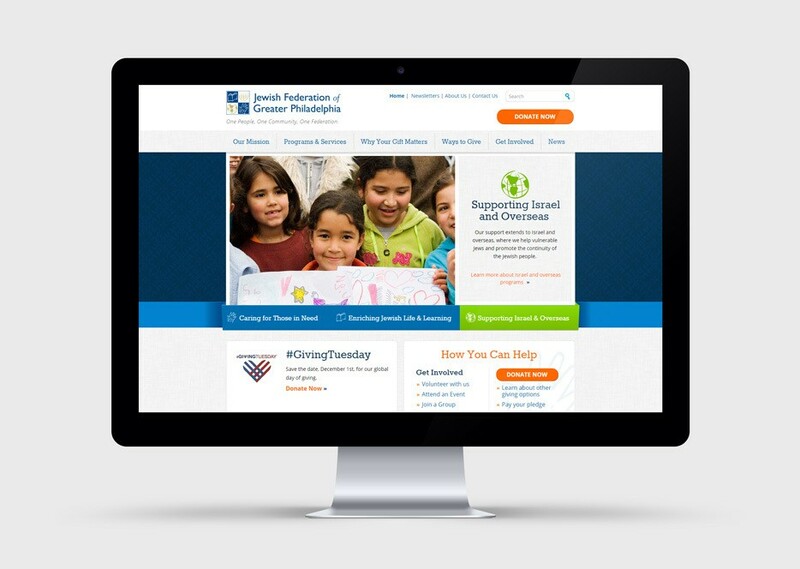 Adding the abilities to process online donations, browse a database of thousands of resources, register for events, seek answers to common questions and post news items made this a fully-featured and flexible site that will meet the organizations’ needs for years to come. The new site not only gave a much-needed facelift to the Federation’s online presence, but also helped in more practical ways − the number of online donations, average donation amount, and total raised online all increased significantly over the old site. 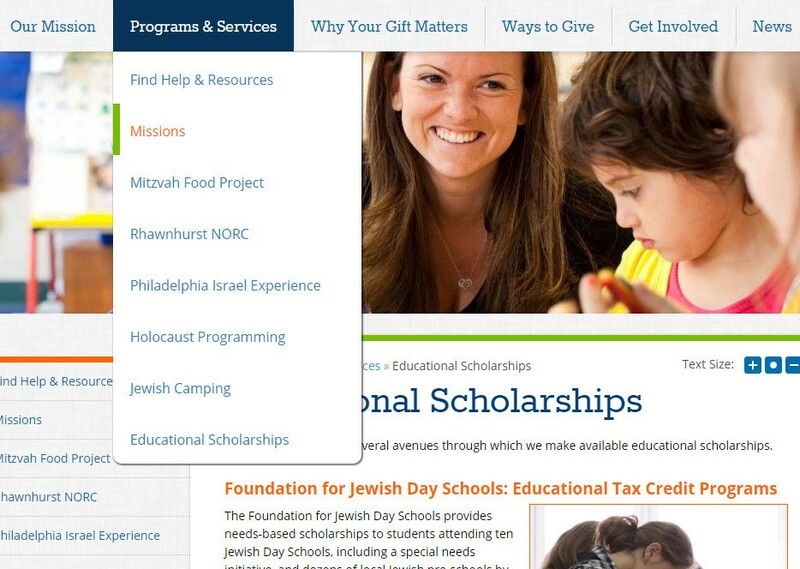 "The Jewish Federation of Greater Philadelphia couldn’t be more pleased that we chose eCity Interactive to build our new website. The team at eCity listened very closely to what we wanted in a new site, and worked tirelessly to deliver us an excellent product. eCity’s understanding of technology and end-user needs is truly outstanding. They are also highly skilled at project management, paying very close attention to keeping the project on time and on budget. eCity was a true partner in every sense of the word."